Singapore Restaurant Week is back for its 12th edition from Mar 19-26, bigger and better than before. 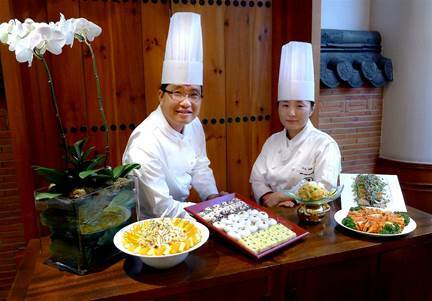 With an overarching theme of “Feasts of the Ocean”, the week-long event will feature an exciting range of cuisines from more than 100 of Singapore’s most celebrated and upcoming restaurants. 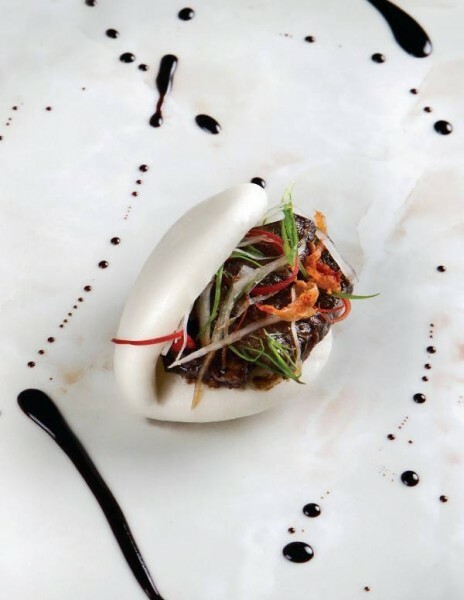 Diners can expect new participating restaurants including Fort by Maison Ikkoku, Il lido at Sofitel Sentosa, El Tardeo, Forest, Sushi Meida, Kaiserhaus, Osteria Art, Dehesa, Alati, Si Chuan Do Hua and Portico Prime. This Earth Hour, Dolce Vita introduces an exclusive “dine in the dark” menu for Mar 19, allowing guests to enjoy sustainable cuisine while dining in a dimly lit setting. 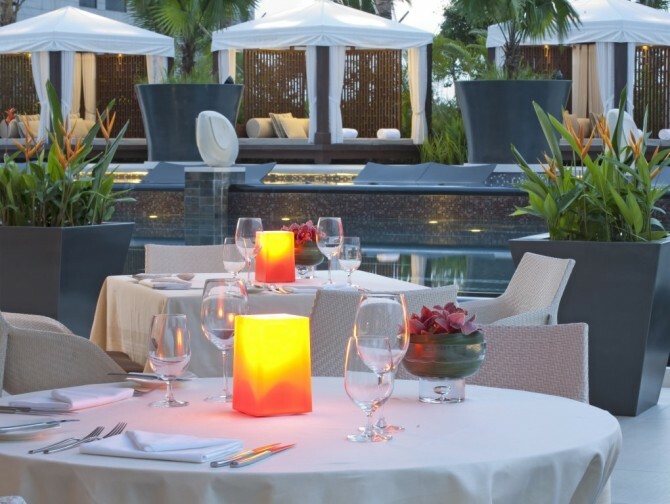 The intriguing culinary journey takes place at the hotel’s Italian poolside restaurant, where lighting is reduced to a minimum. Guests can look forward to savouring exquisite dishes like Caledonia prawns and quinoa in shellfish broth, organic Singaporean barramundi, green Acquerello risotto and more. In light of the Penang Hawker Fare’s 30th anniversary, York Hotel will be holding two exclusive cooking workshops on Mar 12 and Mar 19. 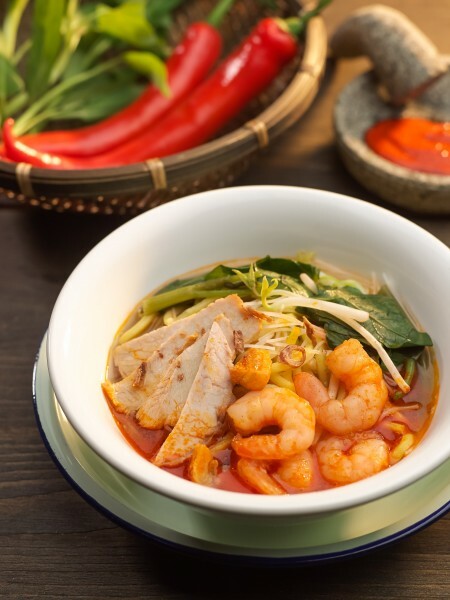 For a nominal fee of $12, participants will be able to learn the close-guarded recipes of three perennial hawker favourites — namely Penang prawn mee, Penang laksa and ban chang kueh. In return, they will receive a $12 dining voucher, which can be redeemed for a la carte dining at the White Rose Cafe. Orchard Hotel Singapore has pledged its participation in Earth Hour 2016 on Saturday 19 March 2016 from 8.30pm. Meanwhile, from Mar 18-21, take advantage of the $0.60 deals offered. These include a $0.60 buffet for every third diner at Orchard Café, $0.60 for every third cup of gourmet coffees and teas at Mon Bijou and $0.60 for every third house pour at Intermezzo Bar. This year, OH! art walkabout will traverse Potong Pasir in search of forgotten spaces transformed by artworks: the iconic HDB flats with sloping roofs, an 80-year-old black-and-white colonial house, a treehouse, a local school and more. The art walk tells stories involving the neighbourhood’s incarnations: the sand quarry, the pond, the kampung, Bidadari cemetery and Alkaff Gardens. Join thousands of others in being part of the biggest yoga tree ever to spotlight the problems of deforestation and haze pollution. After the record attempt, stay and enjoy the Green Carnival and the free concert featuring Singapore’s bands, celebrities and DJs. 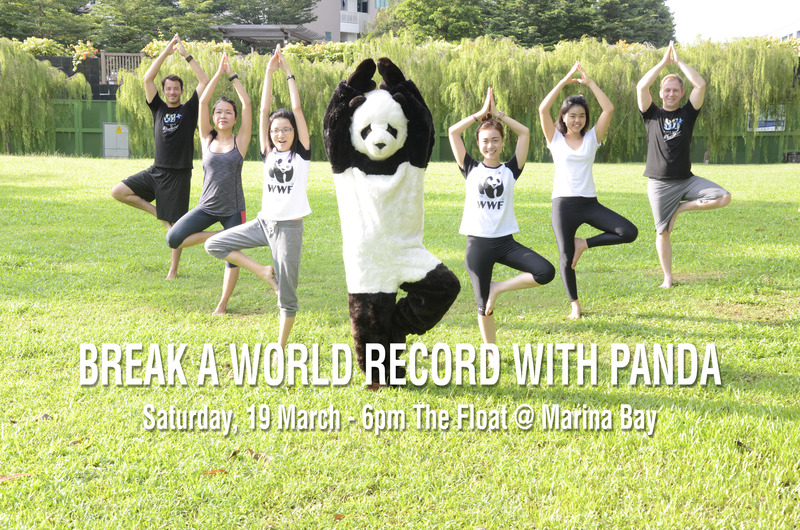 At 8.30pm, Marina Bay’s famous landmark buildings will power down in support of action against climate change. 7. 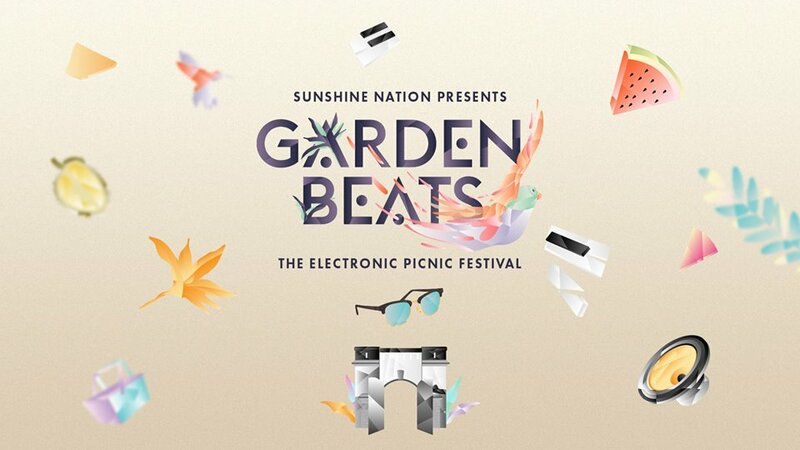 Picnic with beats in a garden festival – $10 off! Dust off your picnic blanket and throw on your floral prints for Sunshine Nation’s Electronic Picnic Festival, Garden Beats. Groove to electronic music in the leafy heart of Fort Canning Park with an eclectic international and local DJ line-up. Here’s an exclusive discount code for you: Enter “ZALORA” to get $10 off your tickets! 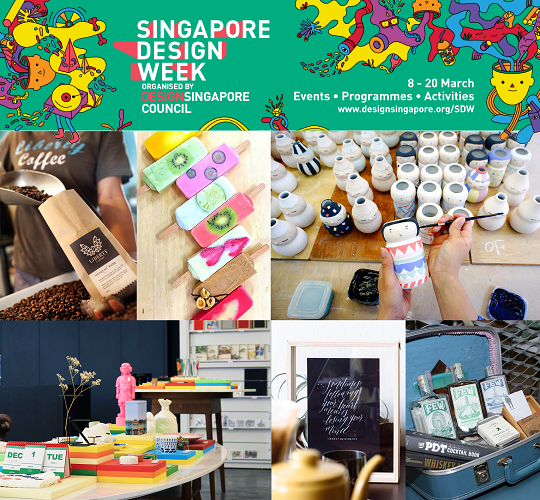 At Singapore Design Week’s Design and Make fair, parents and kids can flex their creative and crafting muscles and enjoy workshops such as soap-crafting, glass-painting, leather-crafting and ceramic doll-making. You can also view and buy a wide variety of ‘Designed in Singapore’ and ‘Made in Singapore’ products. Marshall-Cavendish is organising a book sale where you can fill up a carton with as many books as you can carry for just $30. 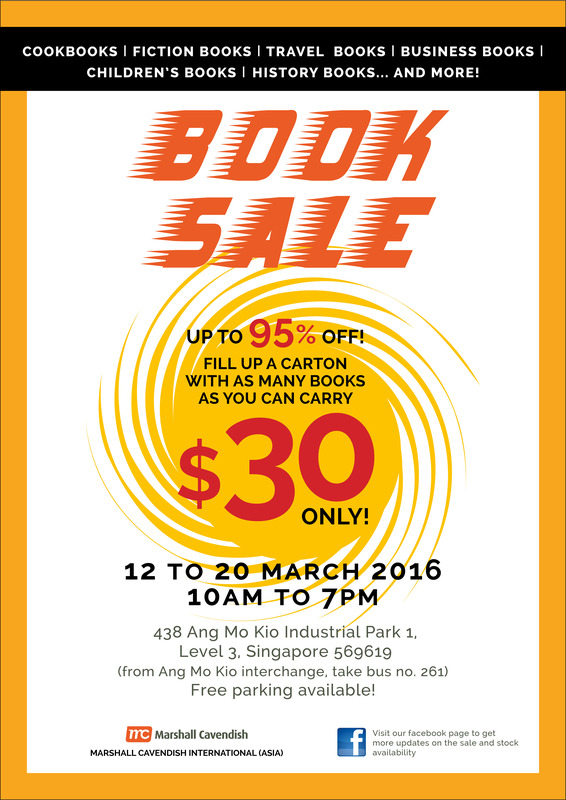 This is your chance to snag books at up to 95 per cent off shelf price. With HDB’s ‘Celebrating Life in the Heartlands’ Photography Competition, the public can attend a series of fun-filled photography workshops and walks. Meet fellow photography enthusiasts and pick up tips to hone your photography skills. Is your kid a fan of the Harry Potter series? Let them be whisked away to the magical world of witchcraft and wizardry with a masterful storyteller. Knowledge of spells will be put to the test, and the kids can earn points for their respective houses and win prizes. Children are encouraged to come dressed as their favourite characters, as the three best-dressed kids can walk home with a magic TV ‘wand’! This event is suitable for children aged eight and above.